The CADCA Mid-Year registration fees per person include admission to all training sessions, reception on Sunday, breakfast and refreshment breaks Monday through Thursday and online access to the event app, presentation powerpoints and any applicable hand-outs. 1. Paying by American Express or Visa/MasterCard? You will need your user name and password. Contact the membership department to obtain your user credentials if you do not know them. If you are registering just yourself, click the INDIVIDUAL REGISTRATION FORM. If you are registering 5 or more people, click the GROUP REGISTRATION FORM. Already registered and need to register someone else? Click here to fill out a paper form (Your profile has already been used to register you…therefore you cannot register someone else) Forms must be received by June 29, 2018 to obtain the advance registration rate. 2. Paying by a PO? POs must be received by June 29, 2018 to guarantee the advance registration rate. Please email the completed form to events@cadca.org. Checks must be postmarked by June 29, 2018 to guarantee the advance registration rate. *Youth: To qualify as a youth to receive the discounted fee, the participant must be 20 years in age or younger as of July 19, 2018. 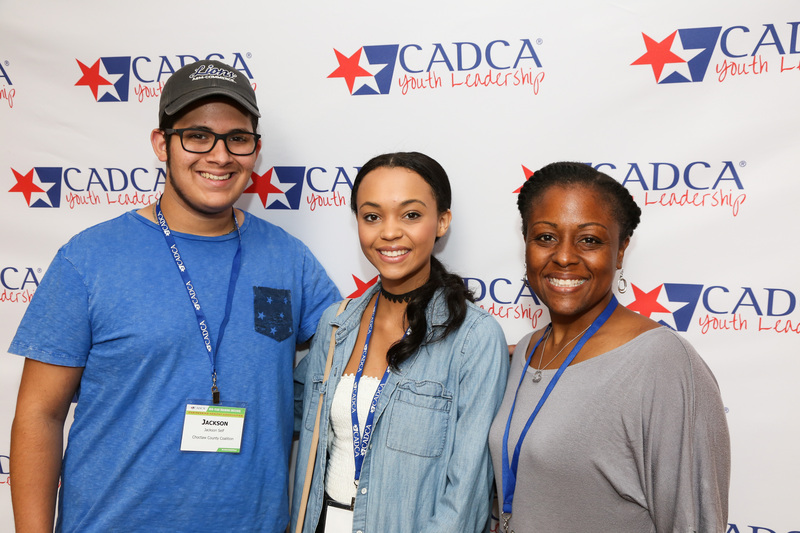 If you plan to attend CADCA's Youth Leadership Summit and are 21 years old or older, you must pay the adult member/non-member rate. No children may attend courses unless they are a paid, registered attendee. All youth registrants must also submit a Parent Consent Form. ** Group: Groups of 5 or more receive a discount on the early-bird and regular rates only. All groups must register and pay by June 29, 2018. There are no On-Site Group rates. In order to be eligible for these discounts, your group must meet ALL of these requirements: 1) all individuals must be associated with the SAME coalition or organization, 2) the coalition or organization must be a member of CADCA (if a non-member, you must purchase a membership to get the reduced group rate), 3) your group must contain a minimum of 5 FULL-PAYING individuals (scholarship recipients, presenters and spouses/guest do not count towards members of the group) and 4) to be eligible for the group rate, all members must be registered at the same time and pay in one transaction using one form of payment. Cancellations that cause the group to drop below 5 will receive partial refund. ***Guest: Guest/spouse access is limited to the welcome reception, breakfasts, breaks, and exhibits only (no training sessions). Coalition colleagues, industry employees, CADCA members and trainers, additional exhibitors, co-presenters, etc. do not qualify for the spouse rate and must register as a full attendee. A completed registration with no form of payment or no purchase order does not guarantee the registration rate. CADCA will not process registration forms that do not include payment information. You are not considered registered for the conference until either payment or a purchase order has been received. Payment must be postmarked by the deadline dates above to get that rate. If your payment will not be postmarked by the current deadline, you must pay the higher rate. Purchase Orders: Official Purchase Orders (PO) are accepted (not Purchase Requisitions) provided the following guidelines are met: purchase orders are a legal document guaranteeing payment but are not considered actual payment. If you submit a PO to CADCA, you are guaranteeing future payment for the full amount of the PO. Upon receipt of the PO, CADCA will email an invoice from which you should submit payment. POs must be received by CADCA via fax or email by the registration deadline to lock in the current rate. POs received after the above deadlines will be returned for adjustment to reflect the current rates. All payments sent via mail must be postmarked by the deadline dates above. Credit Card Payment: If you register online, you will receive an immediate email confirmation of your registration. The information supplied on the Internet is passed through a secured server. Please note that credit card payment is required for those registering online. CADCA reserves the right to review each registration for the appropriateness of the selected registration category and make any necessary corrections. For example, a member that chooses the guest rate will be corrected upon review. CADCA reserves the right to charge his/her credit card the difference in registration fees. Payment Change: Once payment is received, any change to the payment method (such as change in credit card numbers) will be treated as a cancellation and subject to a $75 administrative fee (per person). Re-registration will be charged at the current rates and a completed registration form is required for each attendee. CADCA will not process registration forms that do not include payment information. All requests for cancellations must be submitted in writing via email to events@cadca.org by June 29, 2018. Cancellation requests that are received by June 29 will be processed less a $75 administrative fee. Refunds will be processed within 45 days after the meeting. There will be NO refunds after June 29th and refunds or credits will not be given for failure to attend, late arrival, unattended events or early departure. By submitting the registration form, you are agreeing to this cancellation policy. CADCA does allow meeting registration substitutions but only for adults and the registration is still subject to the same cancellation policy. If the registration category is different (member vs. non-member), the new registrant is responsible for paying the difference (if any) at the time of substitution. If a refund is due, the payment will be processed upon conclusion of the meeting. Participants with Disabilities or Special Needs: If you have a disability or special need that may affect your participation at Mid-Year, please contact us at events@cadca.org to discuss your requirements. 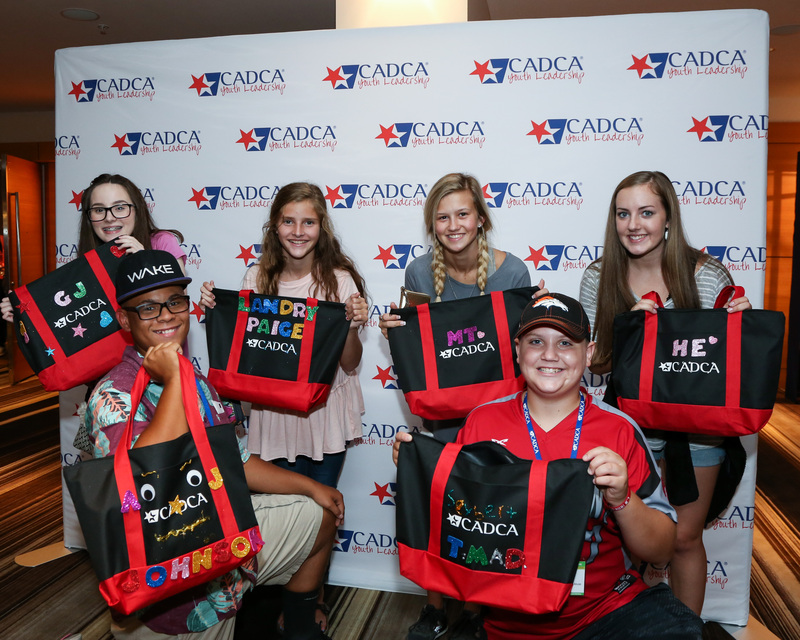 By registering for the CADCA event, you are providing us with permission to include your name, organization and state information for the list of attendees and use of your image captured in photographs/videos on site. Purchase a one-year membership and receive $200 off registration fees plus access to the CADCA Community. Contact the Membership Department.